As you can see, I rarely post on this blog site, as our other platforms like Instagram and Facebook have taken over. BUT when I do it’s to either announce something big or share something that is beautiful and inspiring. 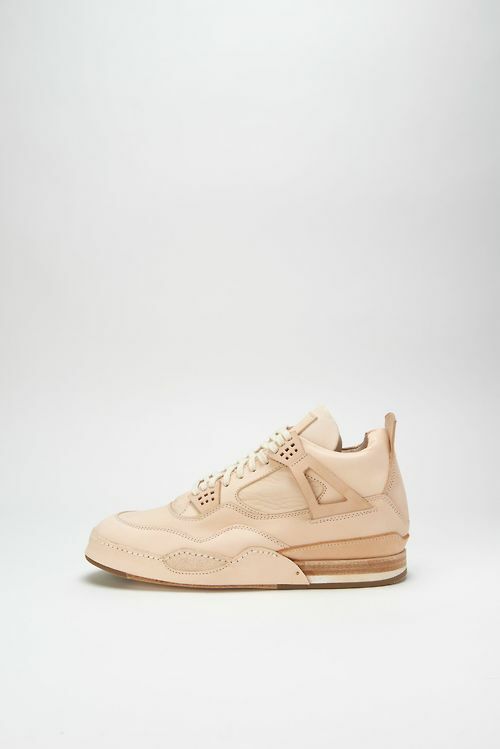 These Hender Scheme “Air Jordan IV” is one example of the latter. The classic silhouette has always been a favorite but Hender really took this to his upper level of expertise and brilliance with an all leather, handmade homage to the shoe. You can expect this in extremely limited quantity around the world and a hefty price tag. Well worth any price set in our opinion.